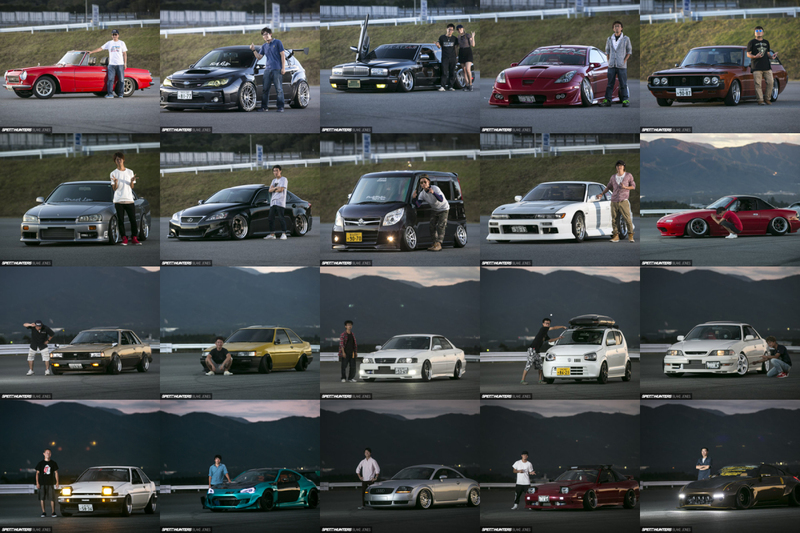 Something you often see in magazine coverage of car shows in Japan is a few pages dedicated to photographs of every single car and owner that turned up to the event. The photos typically aren’t anything special, and due to the size restraints of a magazine end up being roughly the size of a postage stamp, but the concept is something I love. Everyone who comes along gets a memento of the event and something to show their friends and family for years to come. 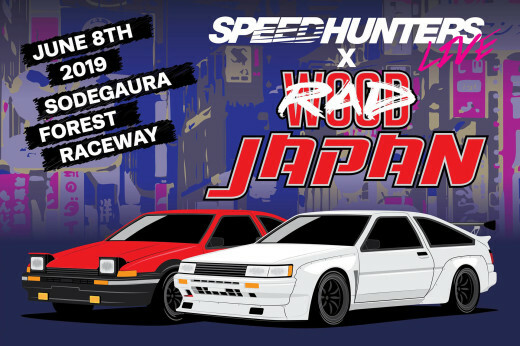 For Speedhunters Live, I wanted to do a bit of a remix on this Japanese concept and put a bit more flair into producing a quality photo for each attendee. Out of the 300 cars in attendance, I only photographed about 70 as the event was winding down and the sun was setting behind Mt. Fuji. But the event was so hectic for Dino, Ron and myself, that this probably ended up being the best opportunity for me to take some time to really appreciate and enjoy many of the cars that I’d simply walked past earlier in the day. The setup was simple: a single diffused flash on a stand hitting the ‘dark’ side of the cars, and 20 metres away my trusty Canon EF 70-200mm 2.8L on a tripod. As each car manoeuvred into position (quite a process for some of our more stanced friends), I’d snap one shot of the car, then ask the owner to jump in for a second photo. Shooting owners with their cars like this isn’t something I’ve done before, but I have to say, the results really put a smile on my face. You can get a feel for the different characters behind some of these wild builds. 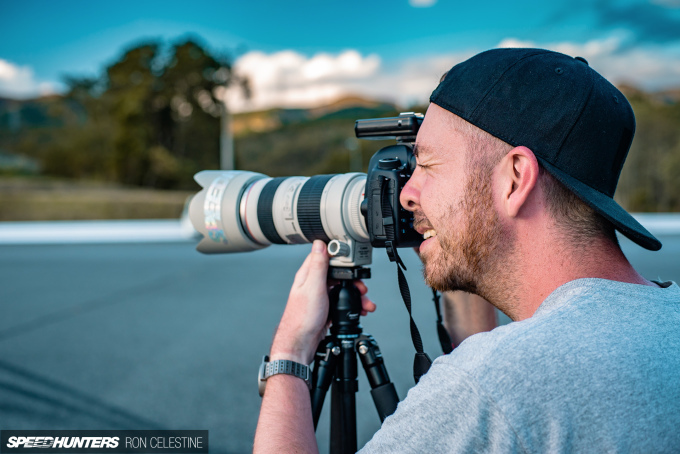 So pour yourself your beverage of choice, hit fullscreen mode, and enjoy the variety of cars and owners that made our inaugural Speedhunters Live event such a great experience for all of the Speedhunters family. Note: Japanese Privacy Law prevents us from publishing owner names here. If you would like your name (or Instagram handle) published, please leave a comment below. Subaru Impreza WRX STI (GD): Popping colour, rare to see a sedan sans-wing! Honda Civic Type R (FK8): The style of these is growing on me, especially this demo car from Varis. I still need to drive one! 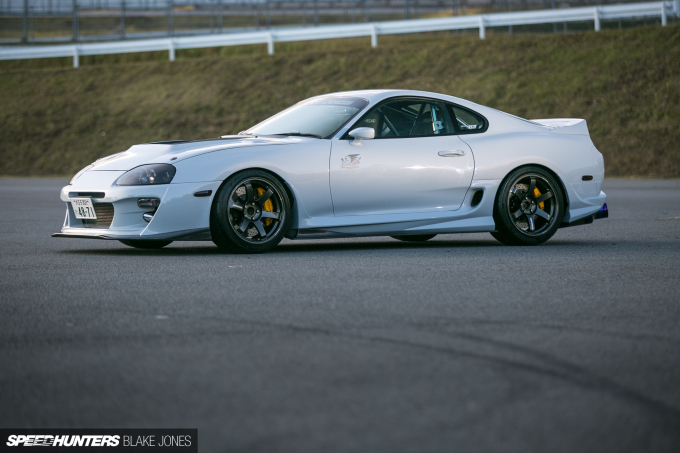 Toyota Supra (JZA80): Talk about style. Unique aero, great colour and plenty of performance parts. Wow. 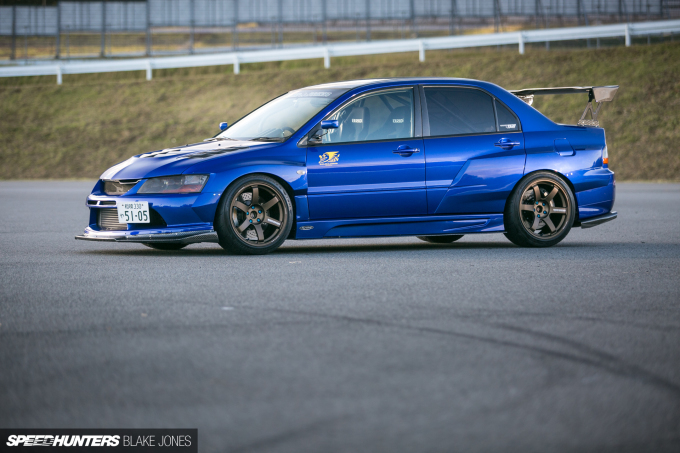 Mitsubishi Lancer Evolution IX: I still really struggle to tell the VIII and IX apart. 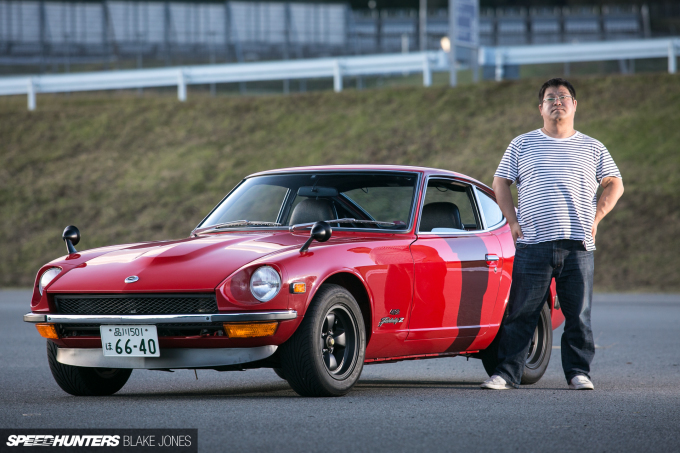 “Which way to the racetrack?” asks this Fuji Speedway-ready build. Toyota Caldina (ST246): Tucking serious rim at the rear of this JDM-only sports wagon. 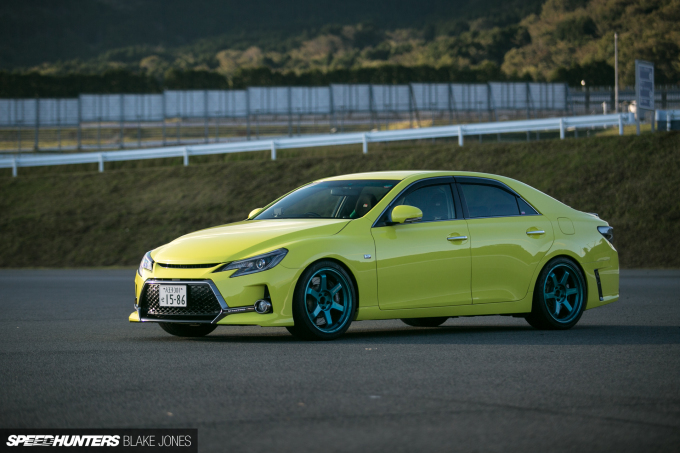 Toyota Mark X G’s: Yes, that’s a factory colour. 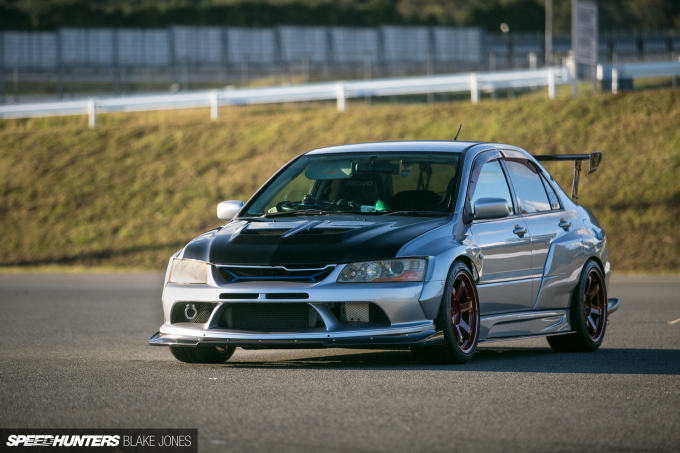 The owner scored himself a set of seats from the super-rare GRMN version of the Mark X.
Mitsubishi Lancer Evolution VII: Wide-body build that ticks all the boxes. Even better, girlfriend approved! 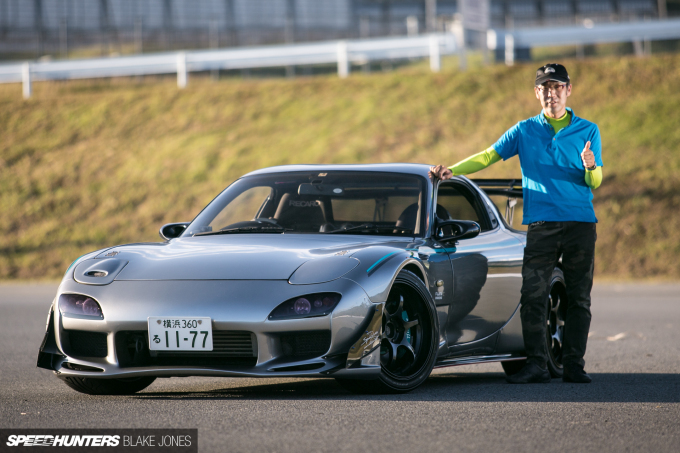 Mazda RX-7 (FD3S): I loved the subtly matched brake calipers and racing stripe. This design just gets better with age. 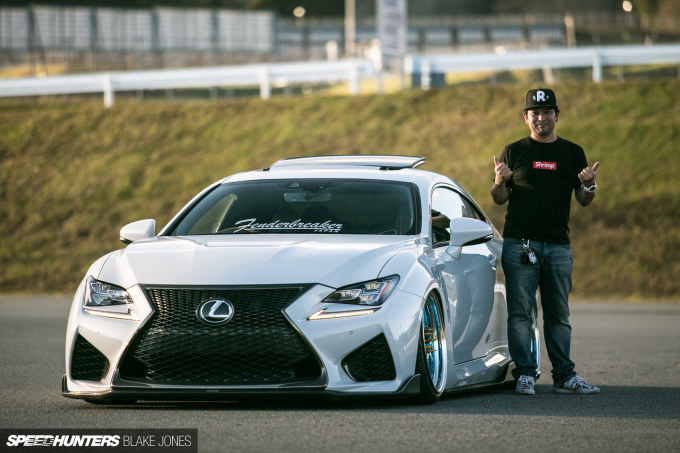 Lexus RCF: The decal reads ‘Fenderbreaker’, but that’s the last thing you’ll see on this all-metal coupe slammed to the ground. 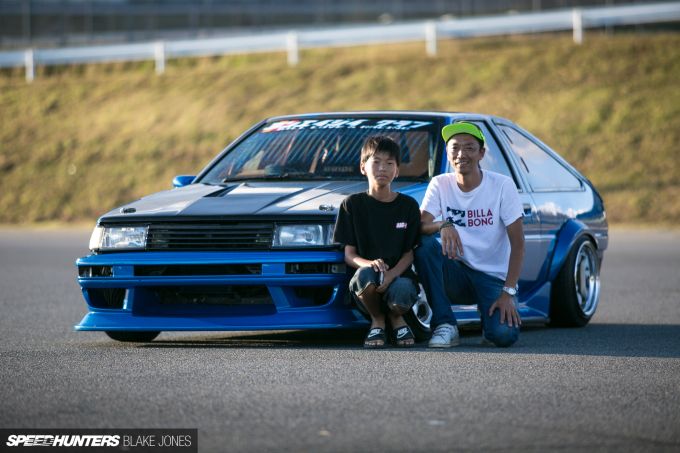 Toyota Corolla Levin (AE86): One of a number of insanely nice Hachirokus that joined us at Speedhunters Live. 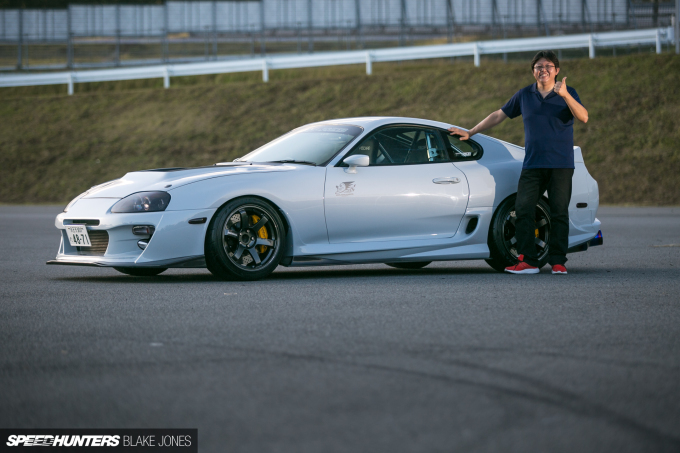 Built well, and still driven hard – two thumbs up! 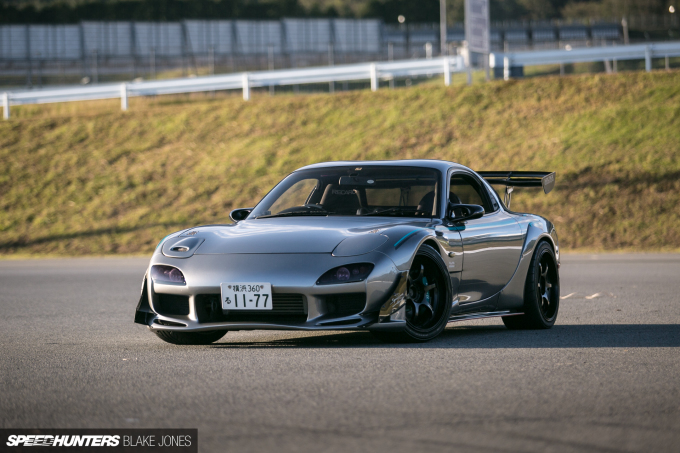 Mazda RX-7 (FD3S): Got wing? 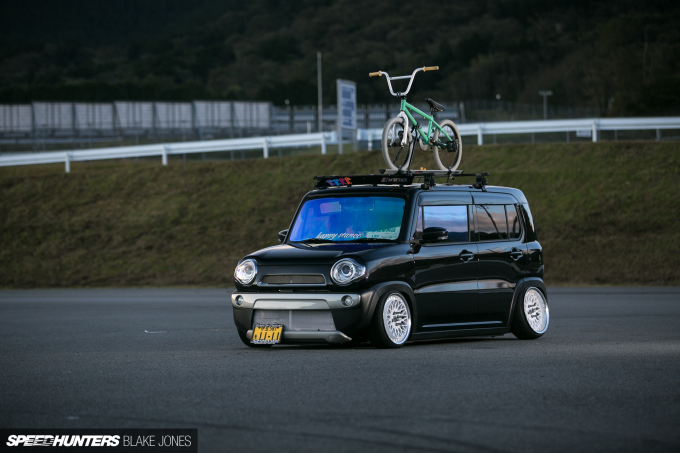 This build would steal attention from pretty much anything in Tokyo. 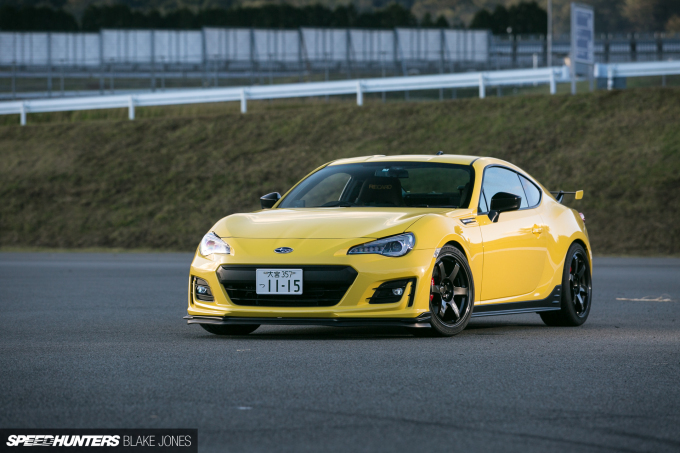 Subaru BRZ Yellow Edition: This one shows how great simple can be. Extra points for matching the kicks to the car. 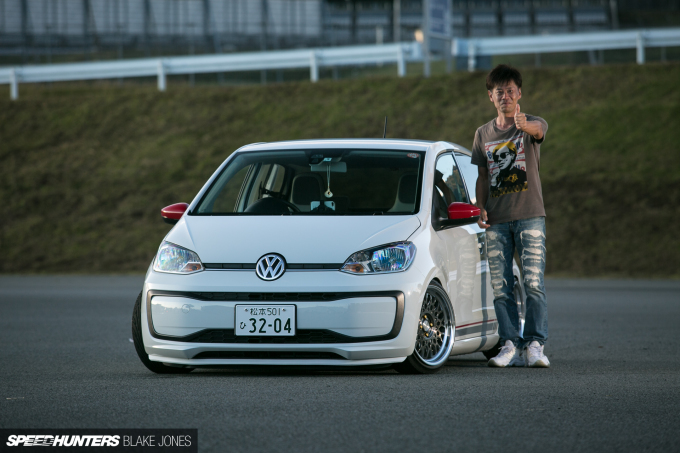 Volkswagen Up! 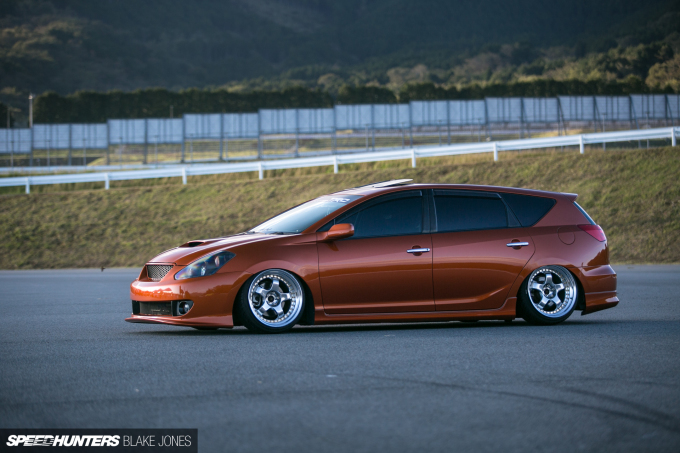 : Another simple, clean ride with a subtle use of colour. 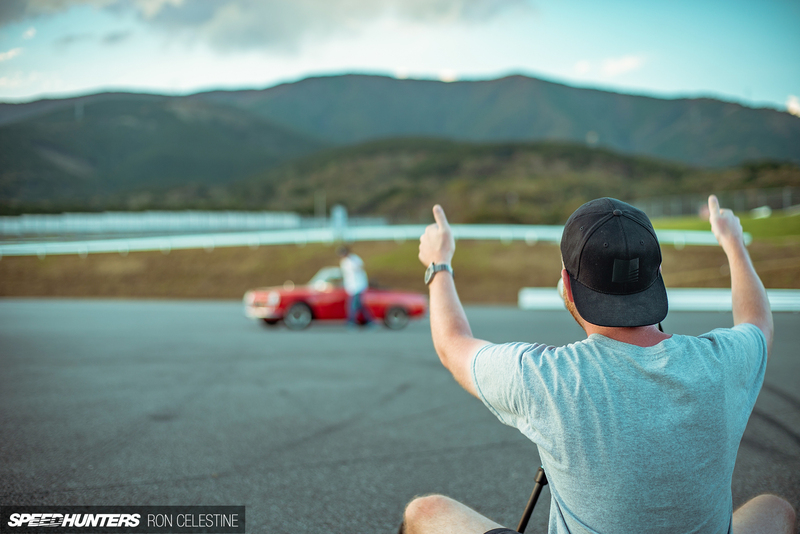 Thumbs… Up!? 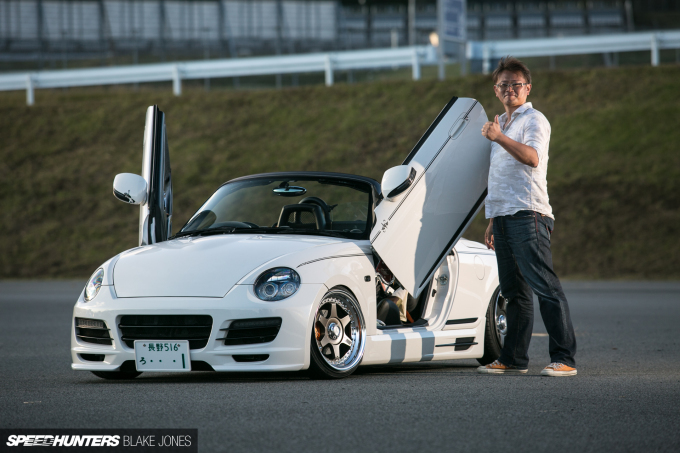 Daihatsu Copen: Porsche 911 GT3-style front bumper almost steals the attention from the gull-wing conversion. 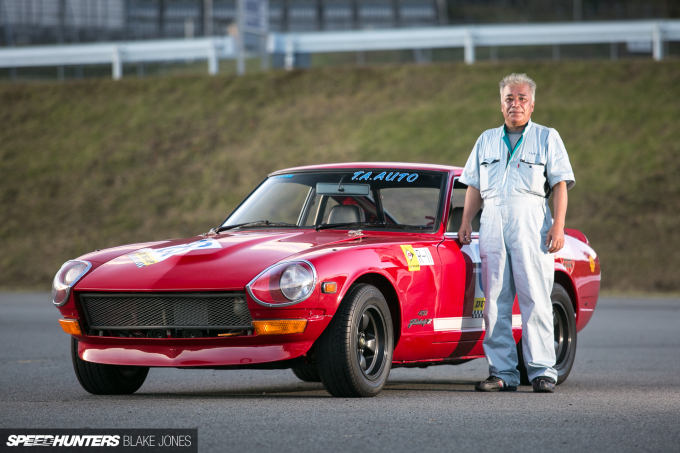 Datsun Fairlady Z 432: Perhaps the rarest and most valuable car of the whole show. Well, except for the other Z432 that entered. Both represented from T.A. Auto, and driven through Nikko with Dino here. 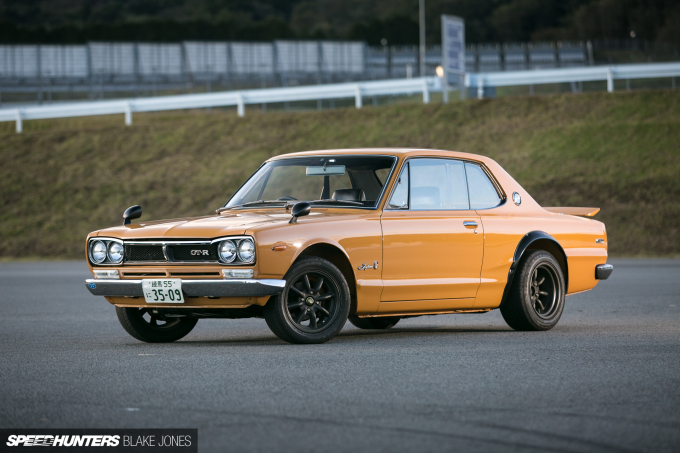 Nissan Skyline (KPGC10 ): Words can’t do these iconic Hakosukas justice. Perhaps a photo will suffice? 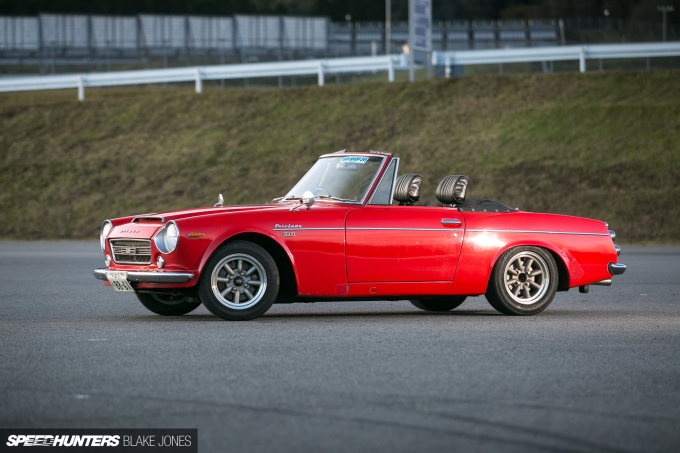 Datsun Sports 2000: A 2.0L engine was enormous by Japanese standards when this car was released. 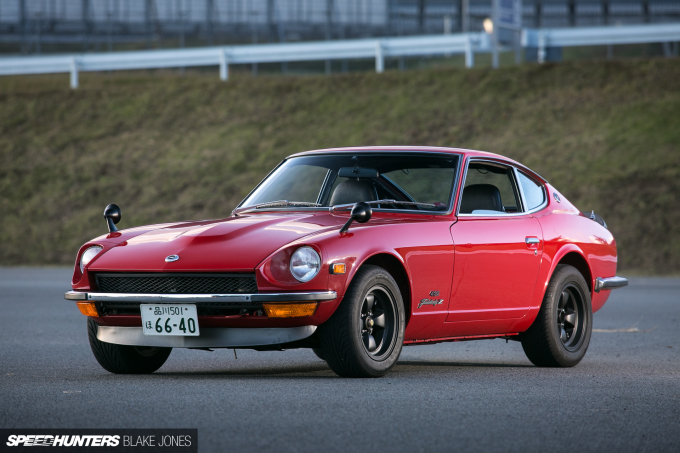 The forbearer to the 240Z, this lovely example is still driven regularly. Read the full feature here. 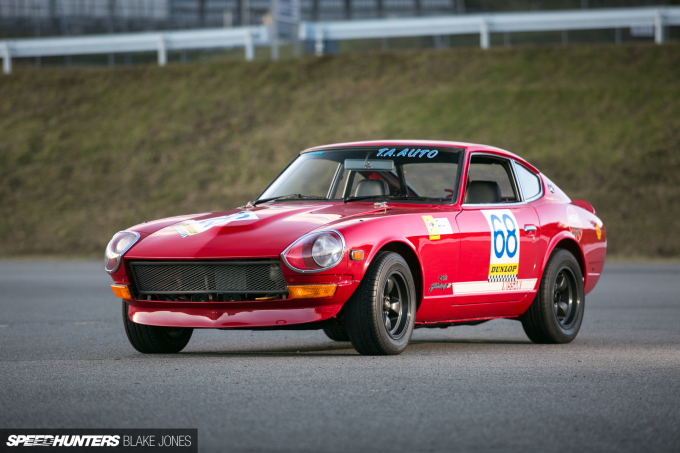 Datsun Fairlady Z 432: T.A. Auto’s own Z432 racer. 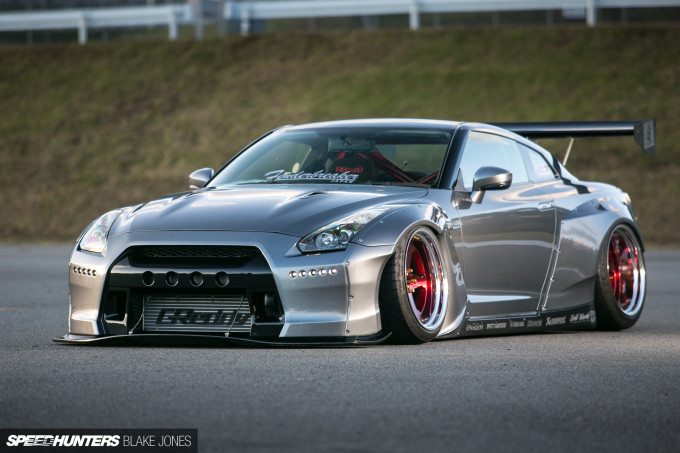 Nissan GT-R (R35): When Japan’s fastest production car isn’t enough. 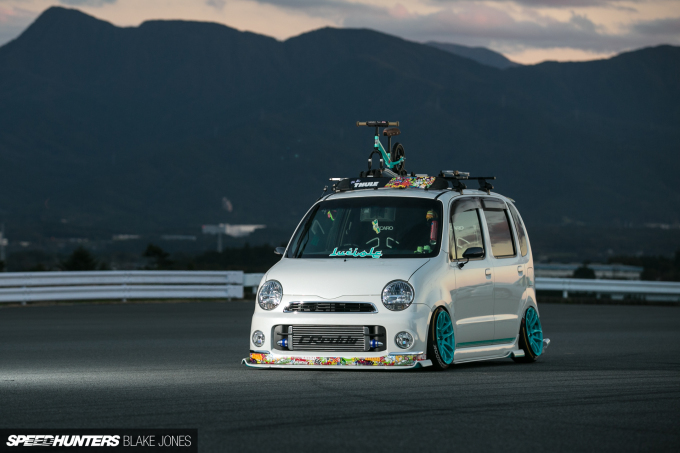 Peep the colour coordination on the wheels and cage in this Pandem-kitted example. Subaru Impreza WRX STI (GR): Circuit influences are obvious here – Enkei NT03RRs looking great, as usual. 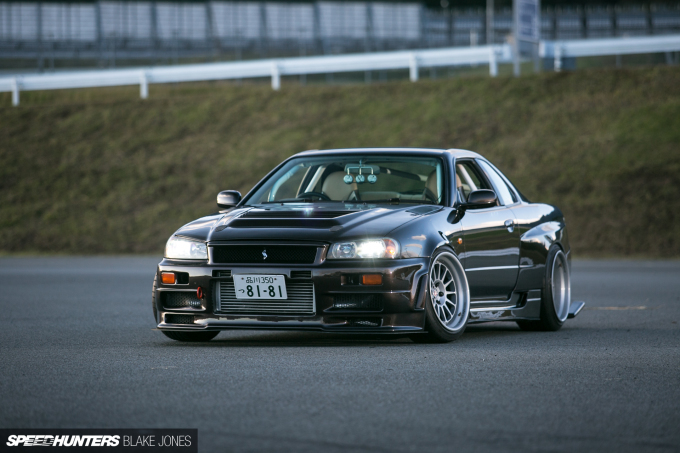 Nissan Skyline GT-T (R34): The owner travelled back from his job posting in the Philippines to be at this event. Toyota Crown (S200): The Crown is one of Toyota’s longest running nameplates. The choice of Japan’s detectives – and low-loving modifiers. Lexus GS (S190): Built on the same underpinnings as the Crown, Toyota’s prolific and robust ‘N-platform’. Also ripe for slamming. 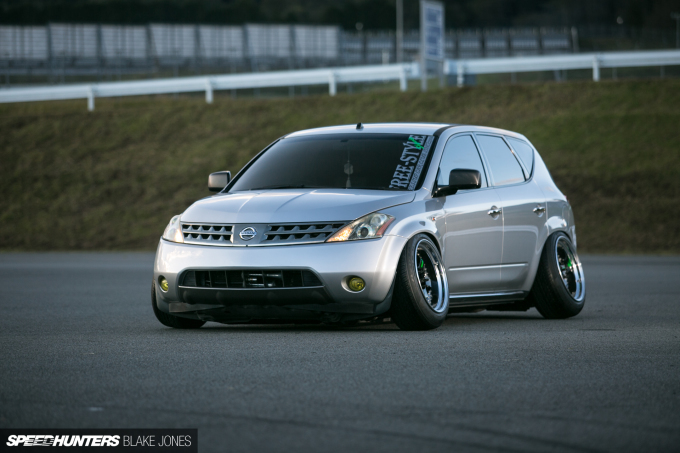 Nissan Murano: Did you think you’d see a stanced Nissan Murano today? Nothing will stop the guys from Free-Style. 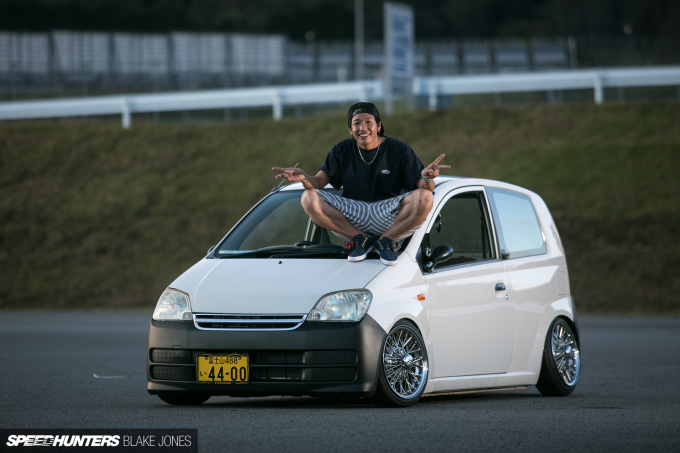 Daihatsu Mira: Off-the-wall wheel choice on this little kei car. 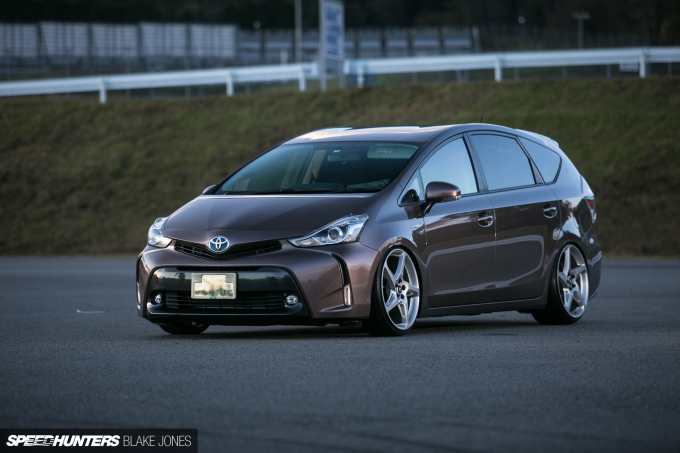 Toyota Prius Alpha: Any car can look great with wheels and low. 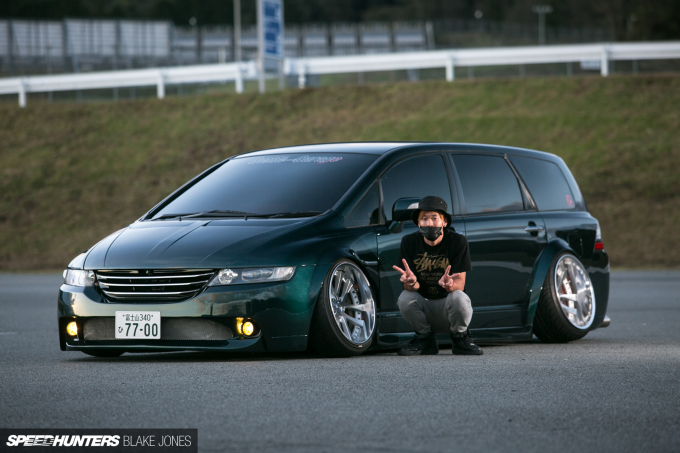 Wait – are those Ferrari wheels?! 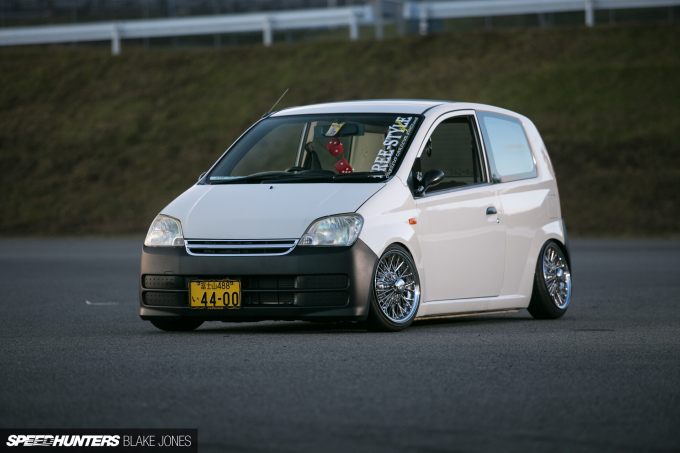 Daihatsu Mira Cocoa: Retro-styled wheels, crazy camber, and Mooneyes accessories on this JDM-only kei car. 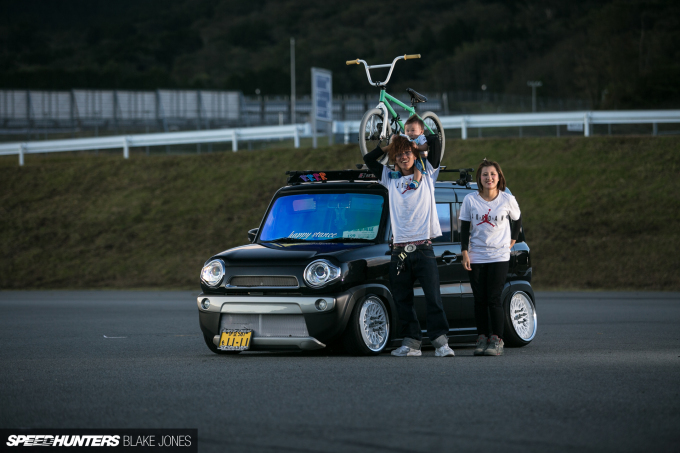 Daihatsu Mira Cocoa: No matter what you’re into, in Japan, someone shares that passion. Toyota Corolla GT (E70): Tastefully enhanced top-spec Corolla sedan, that featured the characterful twin-cam 2T-GEU engine. 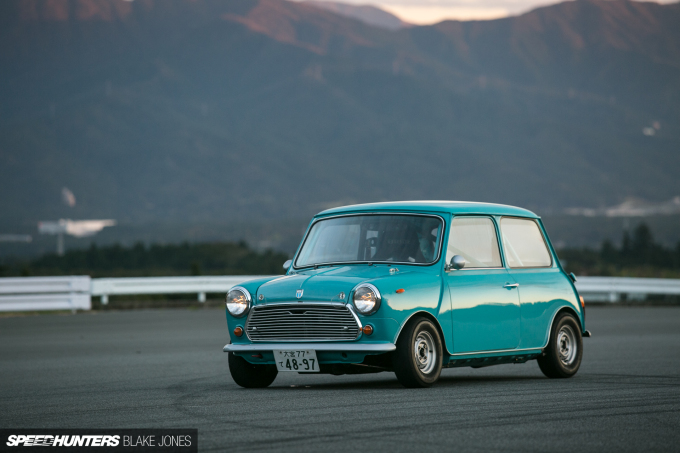 It’s extremely rare to see one of these on Japanese roads now. 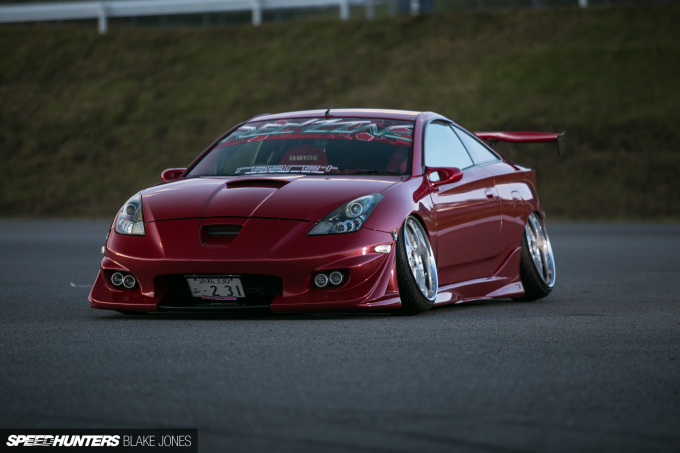 Toyota Celica (ZZT231): I’ve always felt like the final generation Celica deserves more love. 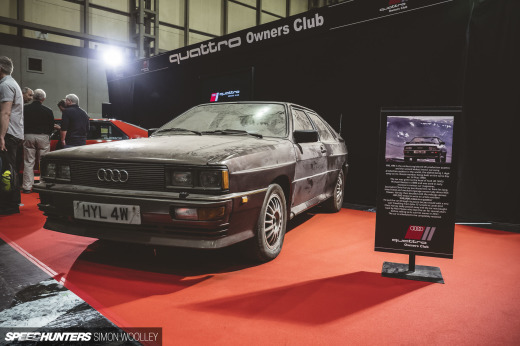 This one has been given plenty of love by its hardworking owner, however. Toyota Tercel: Tercel sporting some USDM bits, ITBs and running nitrous. Too cool. 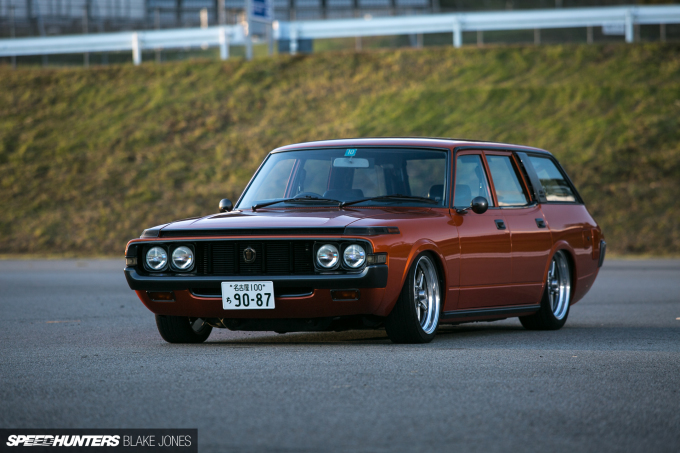 Toyota Crown Custom: Hot rod-levels of artistry and work in this 1UZ-swapped Crown Wagon. 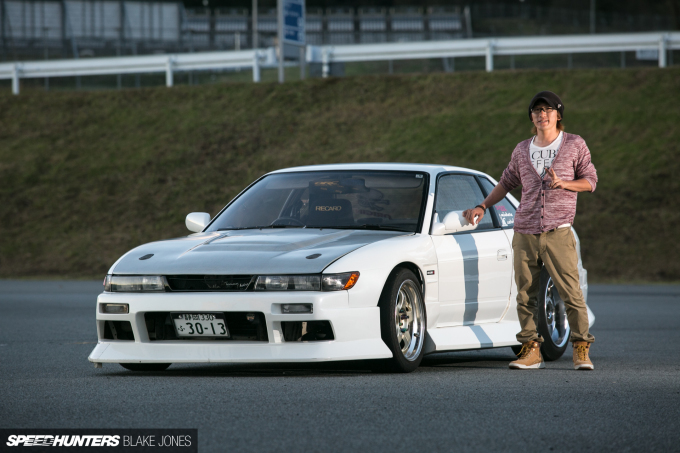 Catch the full feature here. 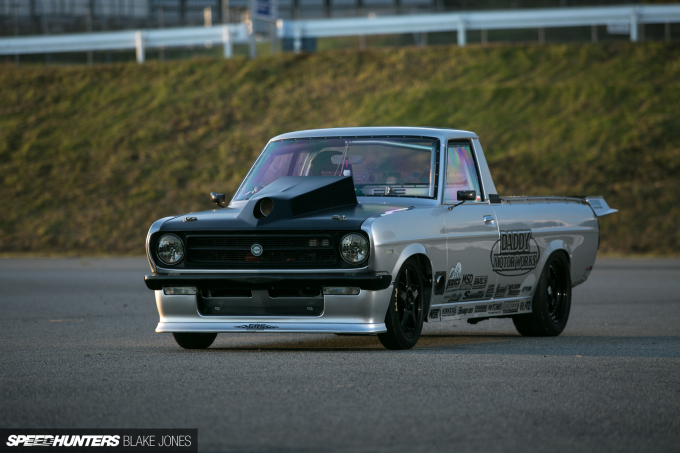 Datsun Sunny Truck: Drag-spec with obsessive attention to detail by Daddy’s Motor Works. 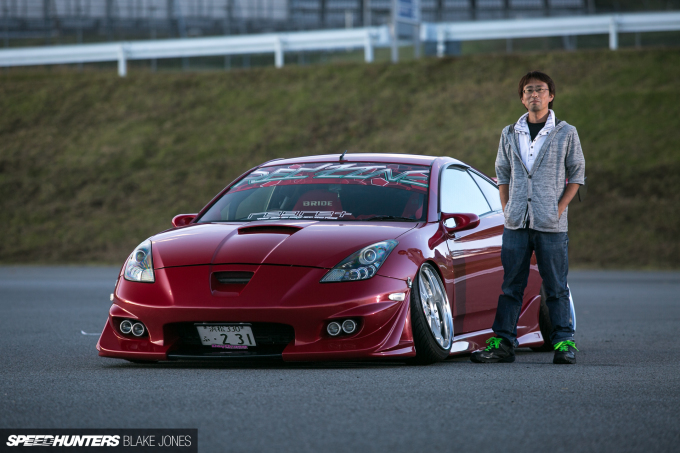 The naturally aspirated and nitrous-infused VQ35 under the hood was a surprise. 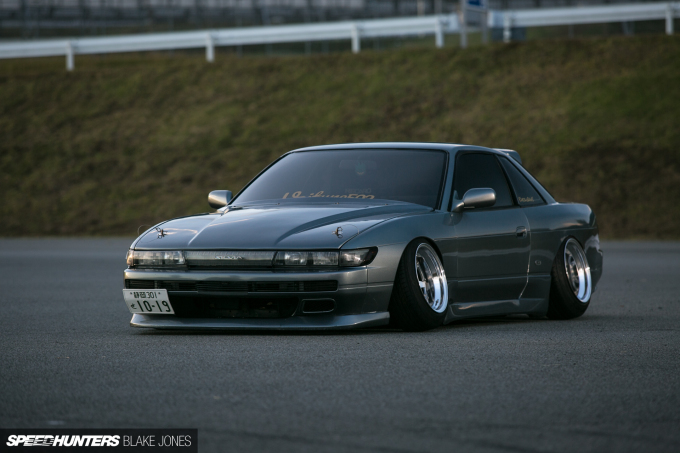 Nissan Silvia (S13): This is the kind of style you only get in Japan. 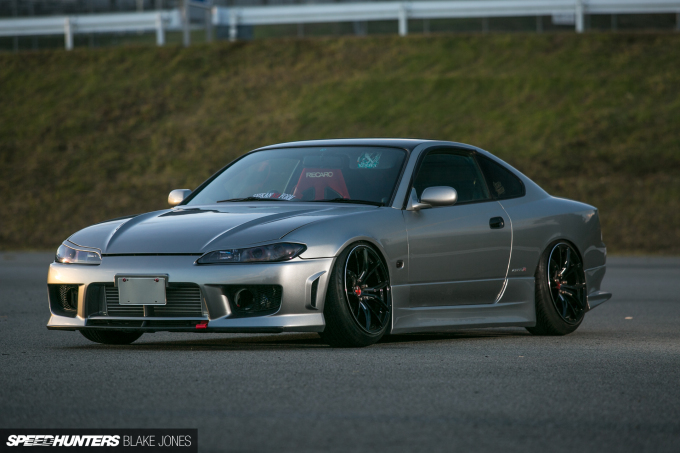 Nissan Silvia (S15): The S13 above’s younger brother. Which would you choose? Nissan Skyline (ER34): One of a number of nice four-door R34s at the event – simple, clean and low. I bet Ron was taking notes (when he wasn’t running around like a madman trying to film the event). 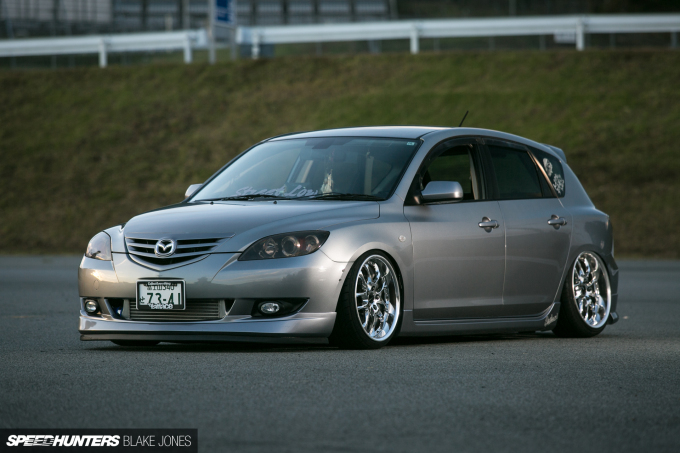 Mazda Axela: Also from the ‘Street Low’ crew, this boosted Mazda Axela. 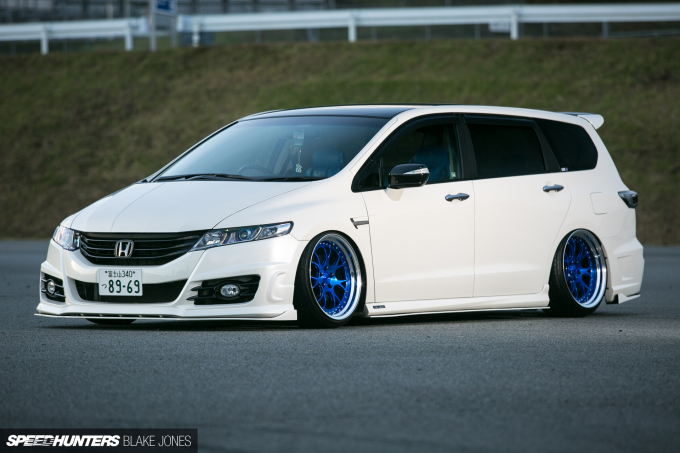 Honda Odyssey: Who says family life and car tuning can’t mix? This one’s K24 had been hit with a few performance parts, too. 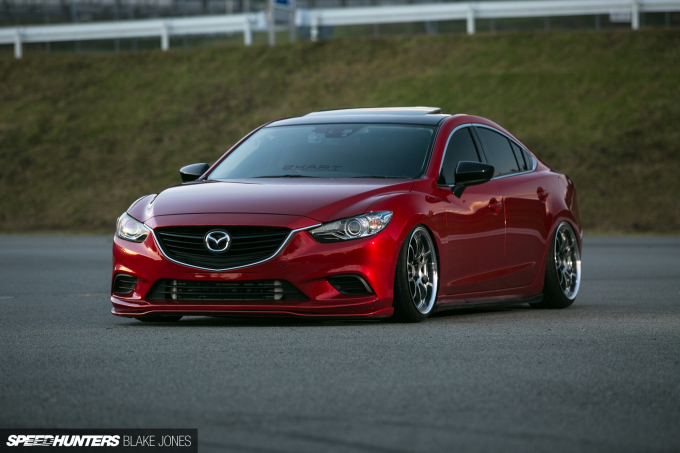 Mazda Atenza: From the factory, Mazda’s designs and paint colours are killing it, so it doesn’t take much to create a real head-turner like this one. Honda Civic (EG): Arguably the cleanest Civic design has been made even cleaner here. 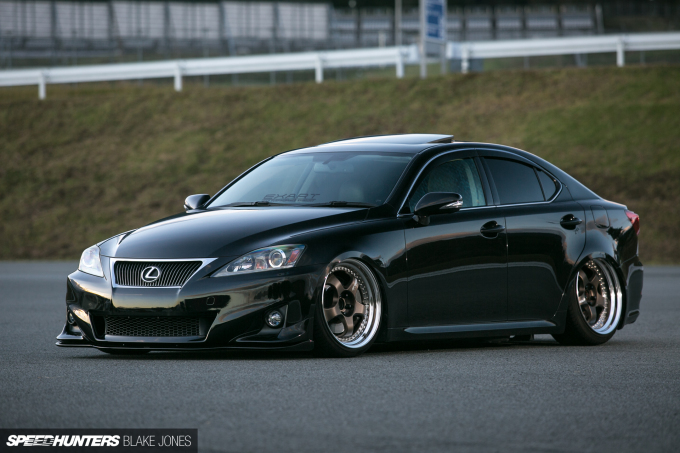 Lexus IS (XE20): Another great late-model cruiser from the crew representing Exart exhaust shop. VW Bora/Jetta Mk4: A very rare sight to see in Japan, this left-hand drive VW would look equally at home at Wörthersee. 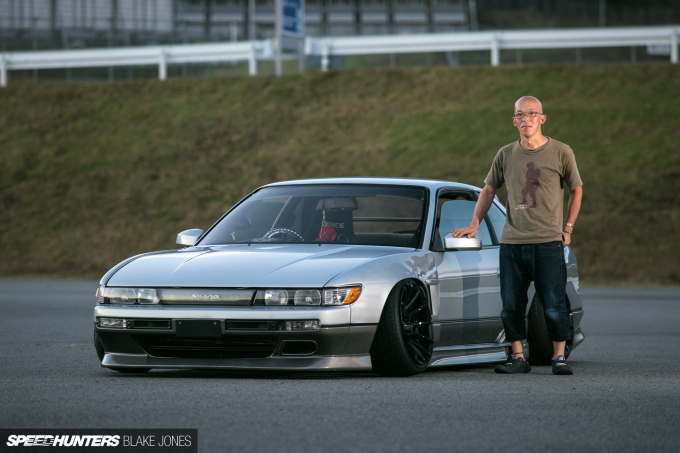 Nissan Silvia (S13): Can you believe the fitment these guys are running on conventional ‘static’ suspension? 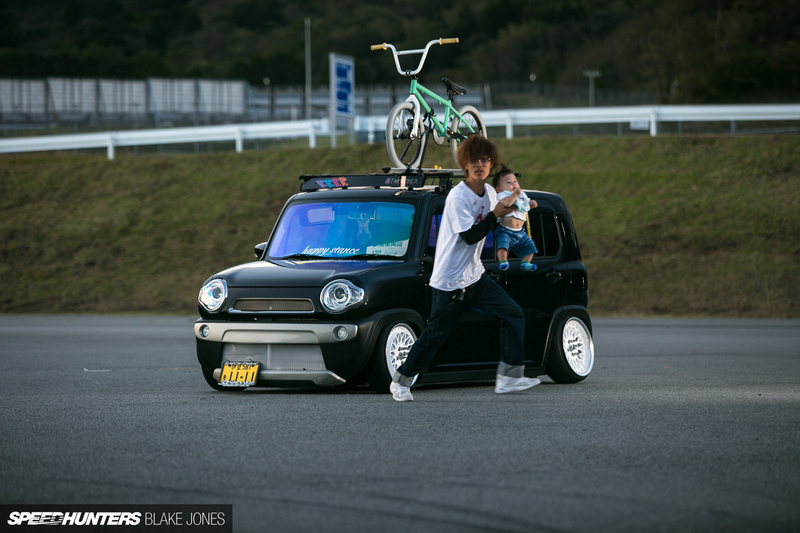 This is Japan style. 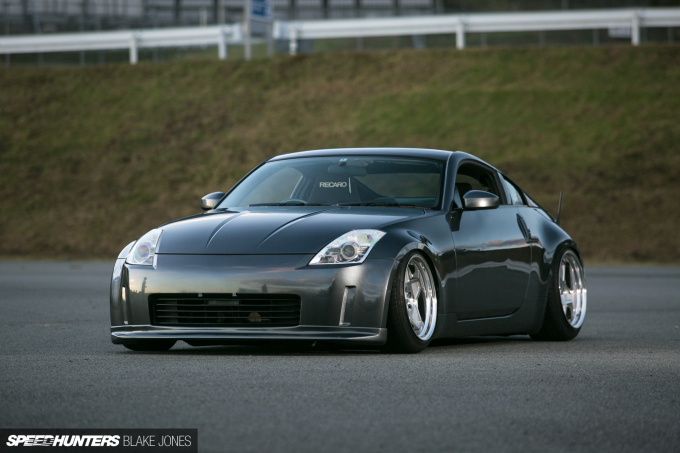 Nissan Fairlady Z (Z33): Never underestimate how much dish can fit under a stock-body Z33. 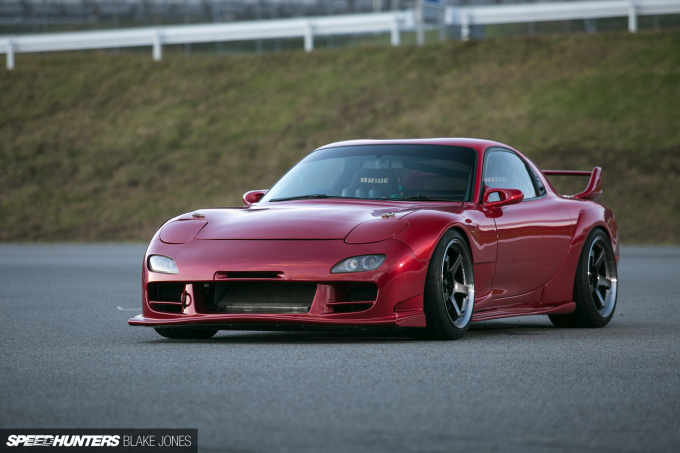 Mazda RX-7 (FD3S): Another great FD. 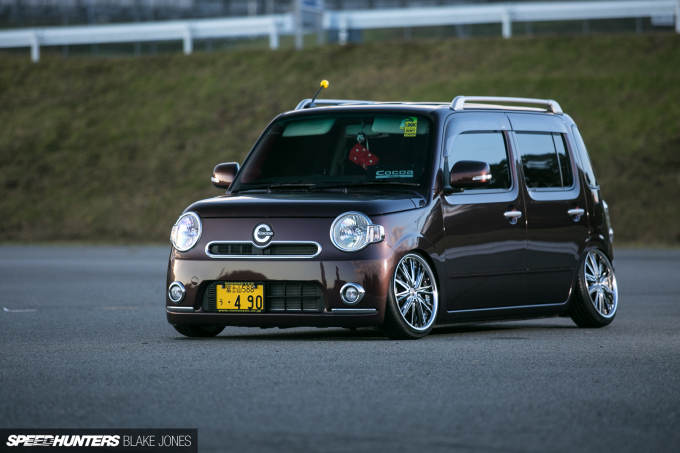 Spying a v-mount setup and roll cage, this is not just built for show. 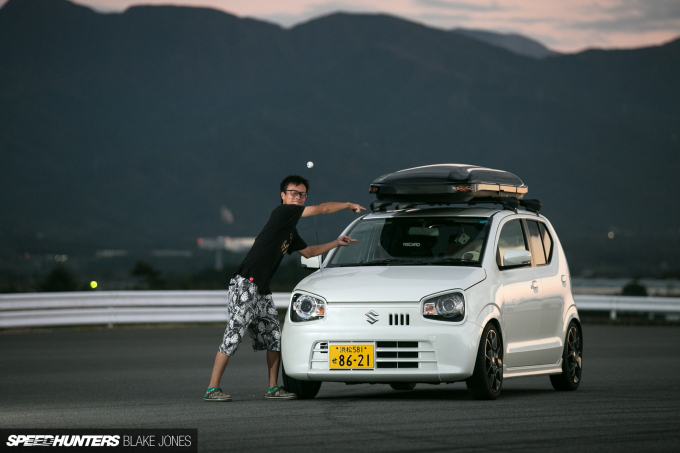 Suzuki Palette: Straight from the land of anime to you. 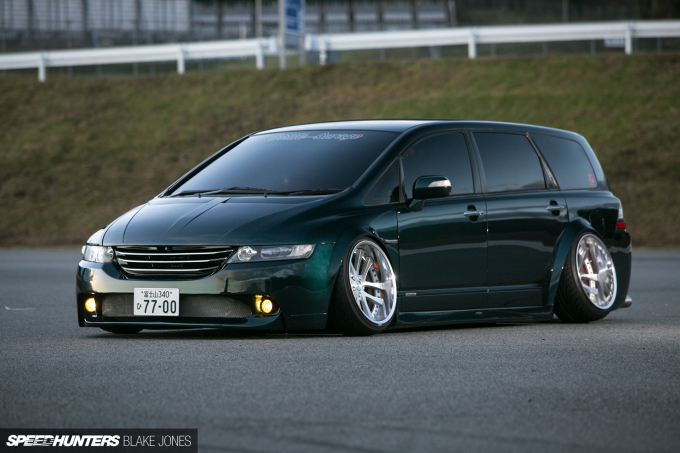 Honda Odyssey: Do I need to remind you that this is static? 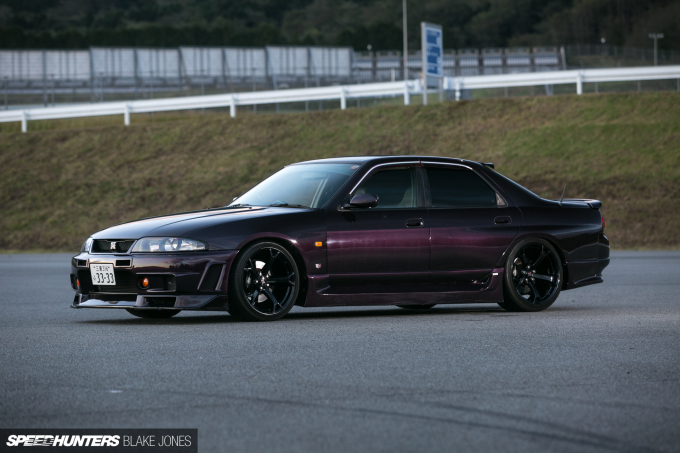 Nissan Autech Skyline GT-R (R33): Why did Autech decide to build 447 GT-R sedans as a 40th anniversary commemoration? 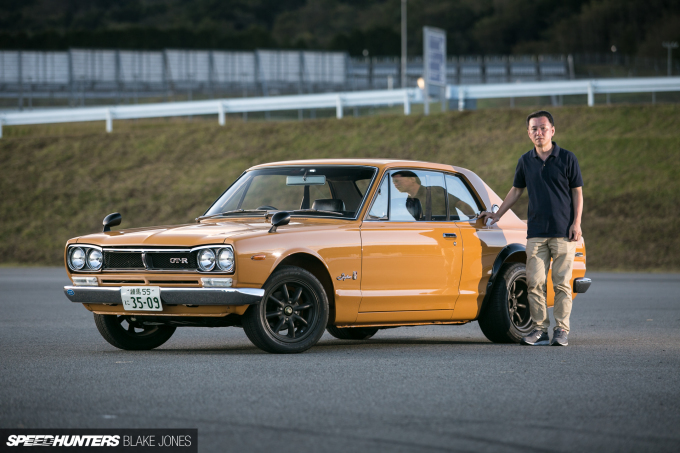 The GT-R nameplate was first seen on a four-door, of course. 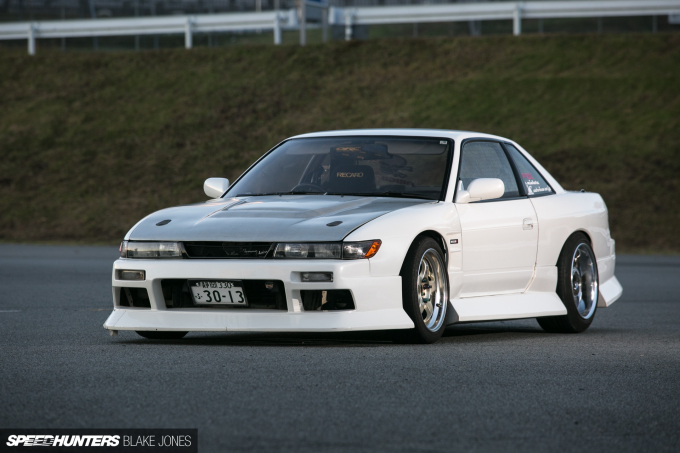 Nissan Silvia (S13): Drift-style Silvia keeping it OG. 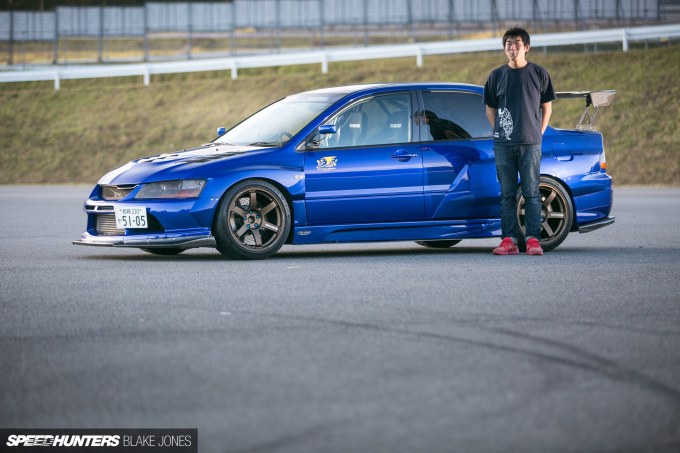 Subaru Impreza WRX STI (GD): Bringing that fresh JDM x USDM blend we love so much. Honda Integra Type R (DB8): Given how rare these things are, it’s easy to forget that the DC2 Type R had a four-door variant. Honda Integra Type R (DC2): This ITR screams West Coast import style. Oh, and a little change of scenery. 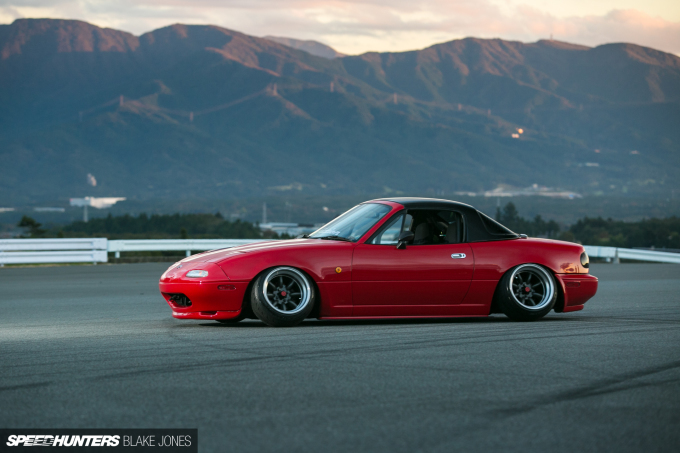 Mazda Roadster (NA): A tried-and-true combo: 1st generation Roadster on Watanabe wheels. 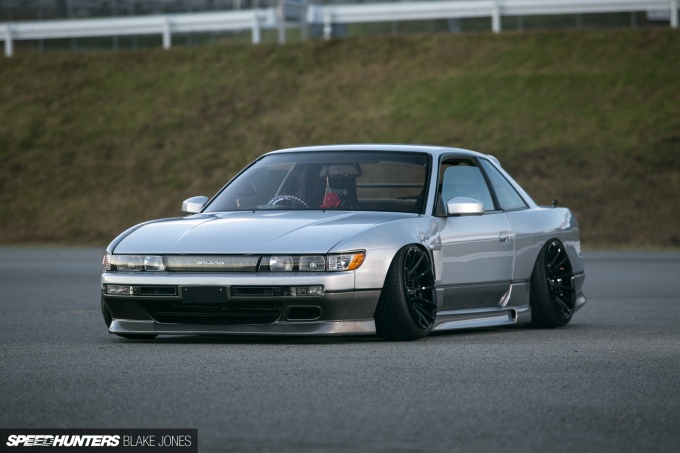 This one’s been given a stance remix. 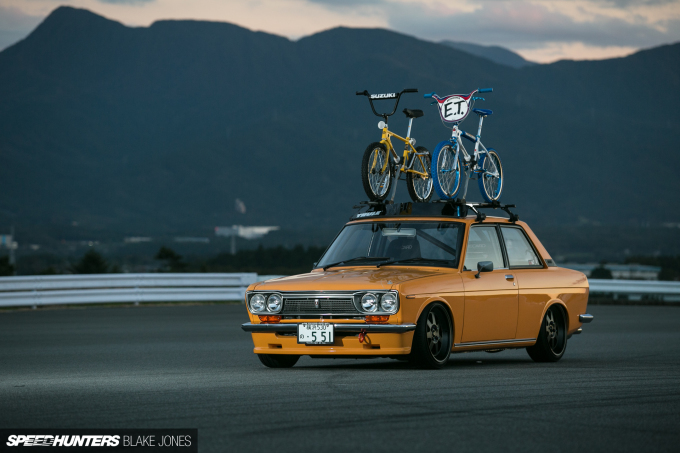 Toyota Crown (S180): Yes, the Crown has amazing rear seat legroom, but no, you can’t have a ride home. 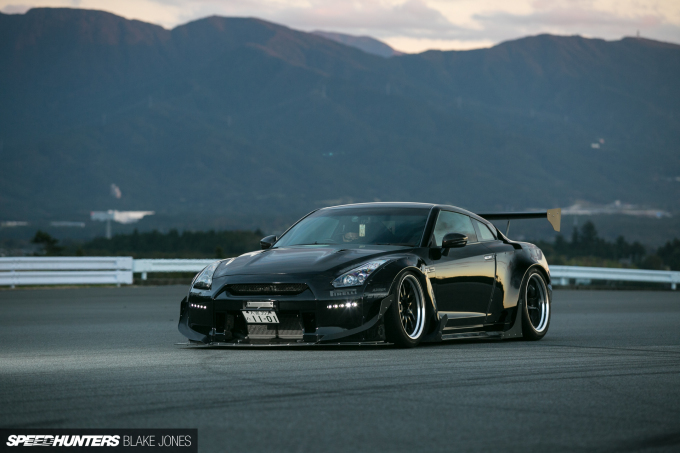 Nissan GT-R (R35): This is the car I’d choose for attacking the Wangan - nothing else comes close. Amazing presence. 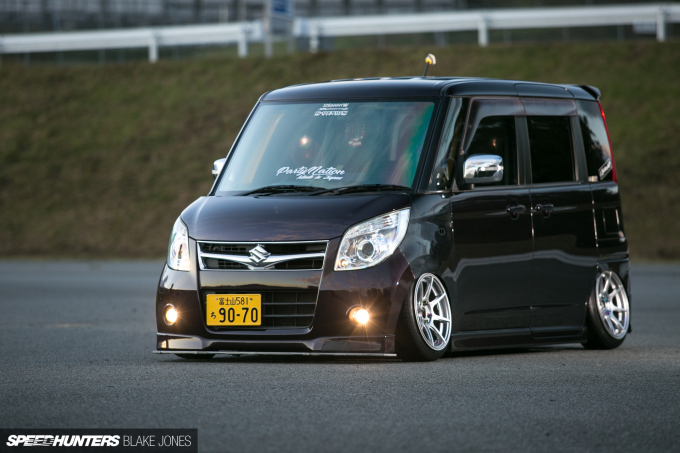 Daihatsu Move Latte Cool Turbo: When your intercooler has more capacity than your engine! Great colour coordination with that Tiffany Blue, too. And yes, that’s the real name. 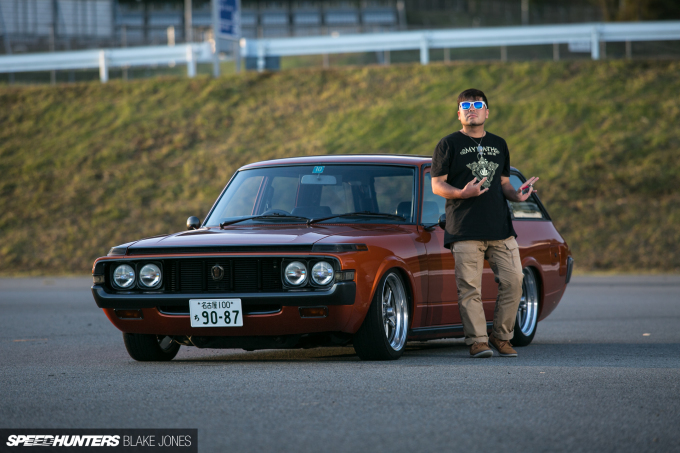 Datsun Bluebird 1400 Deluxe (510): Another one of my favourites. Daily-driven, and sporting some super rare BMXs on the roof. 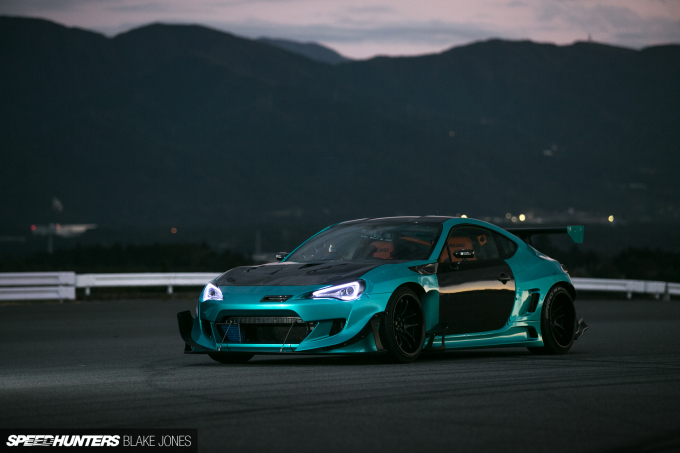 Toyota 86: This 86 looks like it’s travelled back from 2049 to visit the first Speedhunters Live event, before it became the global phenomenon. 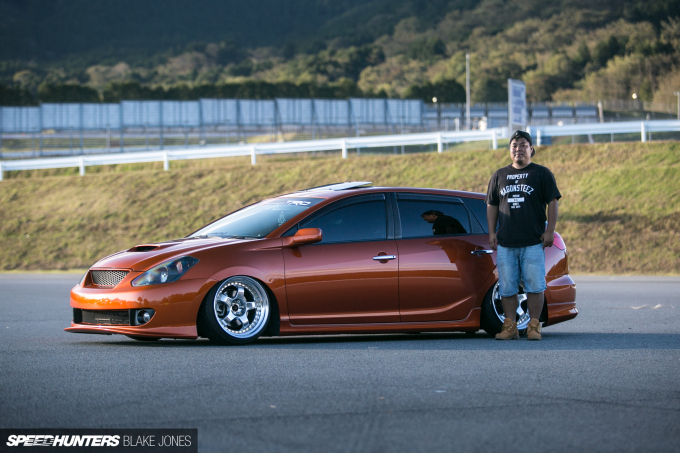 Simply insane wheel setup. 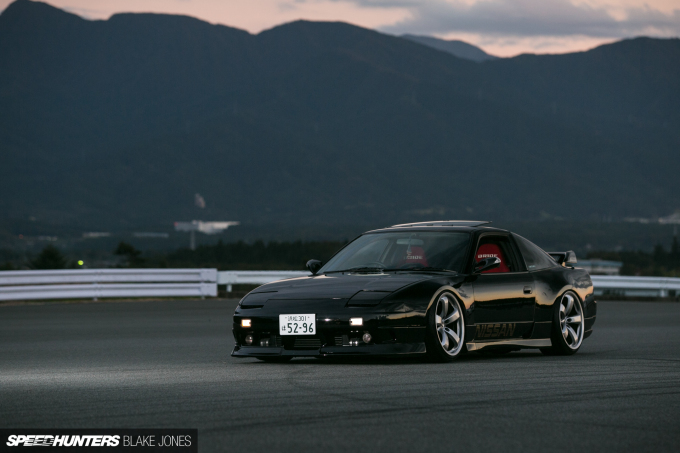 Nissan 180SX (RPS13): Sporting some of the best aero to come out of Nissan – the Type X kit for the 180SX – and 350Z wheels. And my girlfriend. Again. 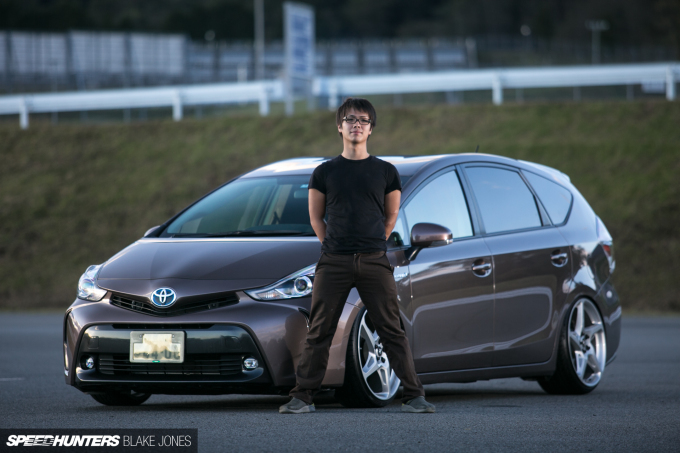 Toyota Corolla SE (E70): Two-tone paint, fender mirrors, great fitment. Yes, yes, yes! 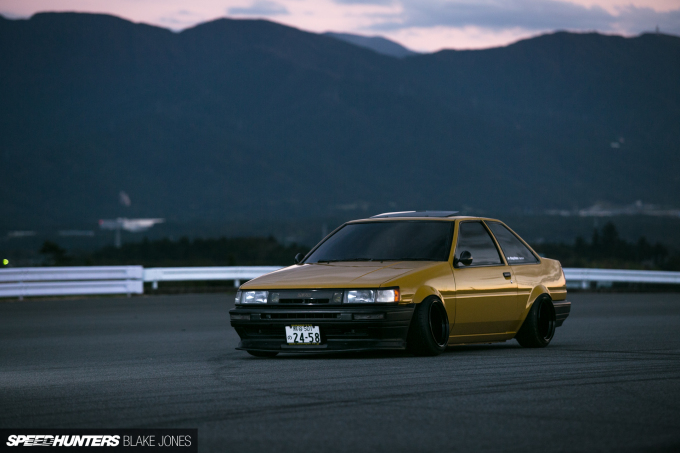 Toyota Corolla Levin (AE86): Loved the mustard and black colour combo on this two-door Hachiroku. 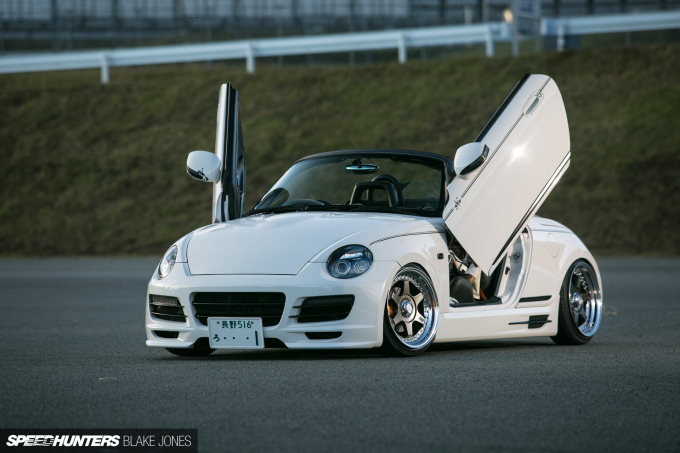 There’s a seriously clean engine bay under the hood, too. 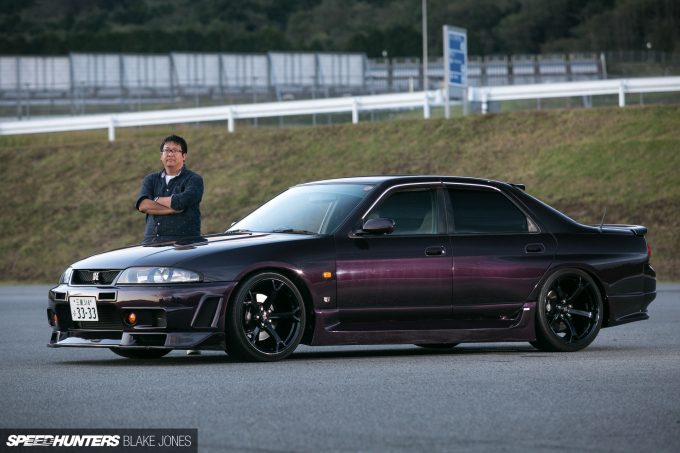 Toyota Chaser (JZX100): Functional, clean street build. I’m feeling it. 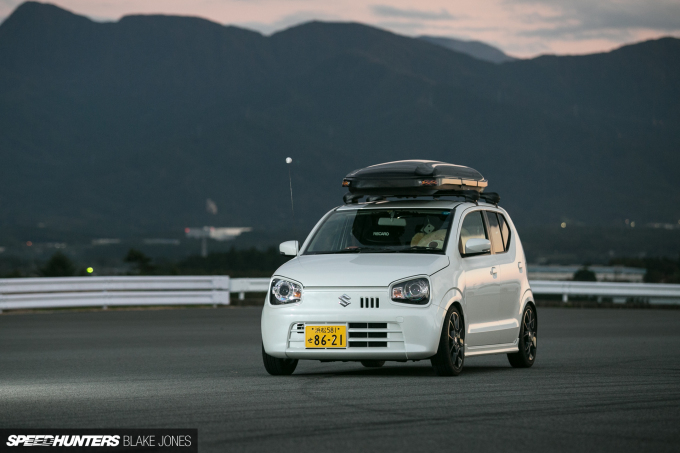 Suzuki Alto: The owner calls your attention to the giant bear in the passenger seat. 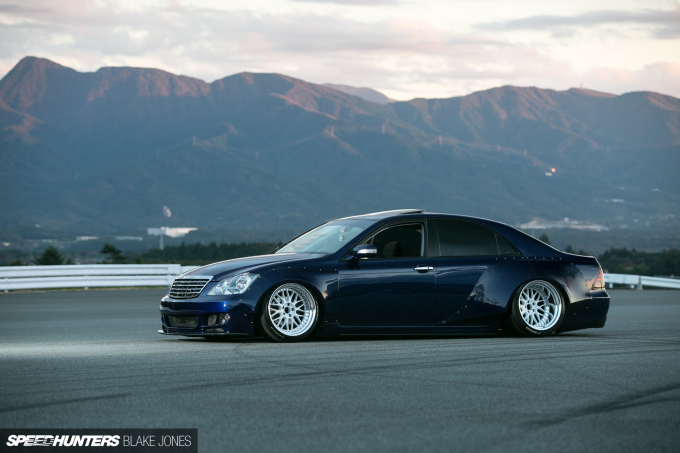 Toyota Mark II (X90): Another nice build of the likes you’d see sliding around Yokohama port streets. 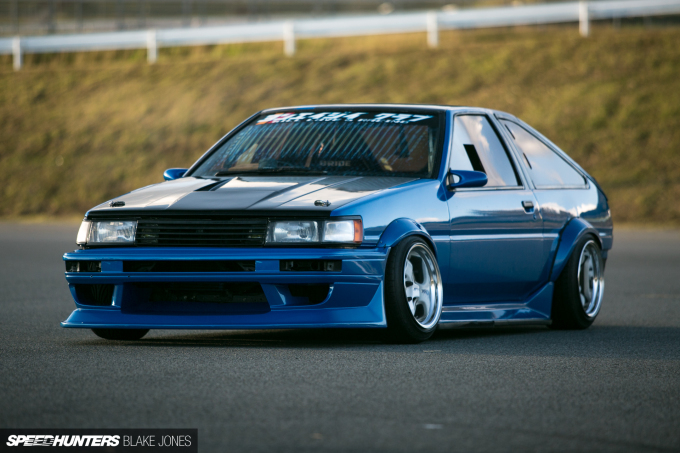 Toyota Sprinter Trueno (AE86): This will never go out of fashion. 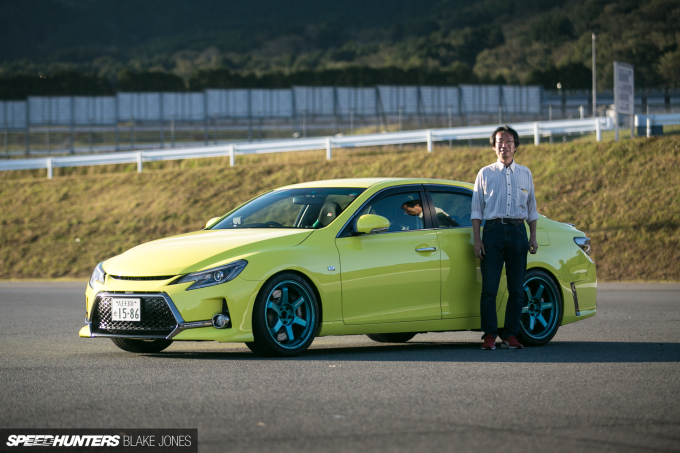 Toyota 86: Teal blue is definitely the colour of the day. 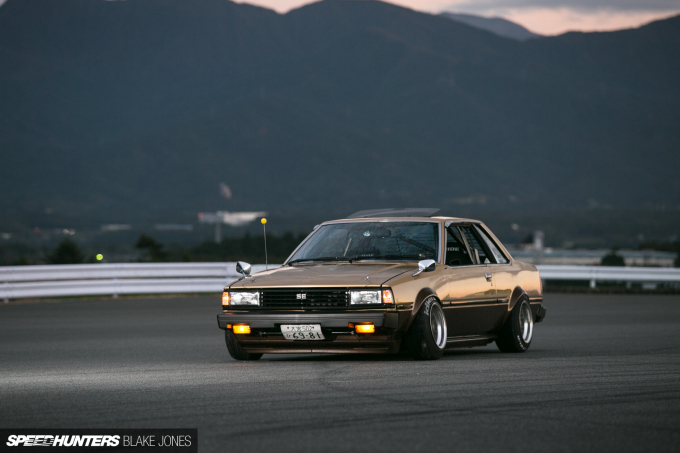 Hardly a panel left untouched on this stylish 86. Audi TT: The original Audi TT is such a clean and unique design, especially sans rear spoiler as seen here. Just don’t push it on the autobahn (they had a habit of losing the rear end at high speed). 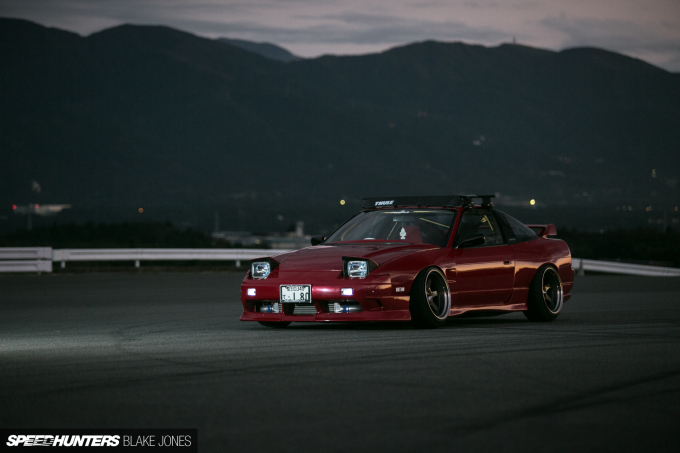 Nissan 180SX (RPS13): Plenty of USDM flair on this 180SX. 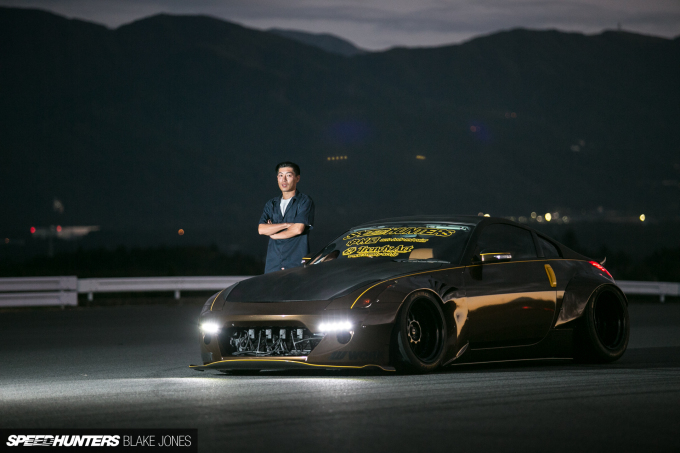 Nissan Fairlady Z (Z33): Trendy Art showed off their wrapping chops with this metallic bronze treatment on their wide-body Z, that captured the last reflection of the setting sun. 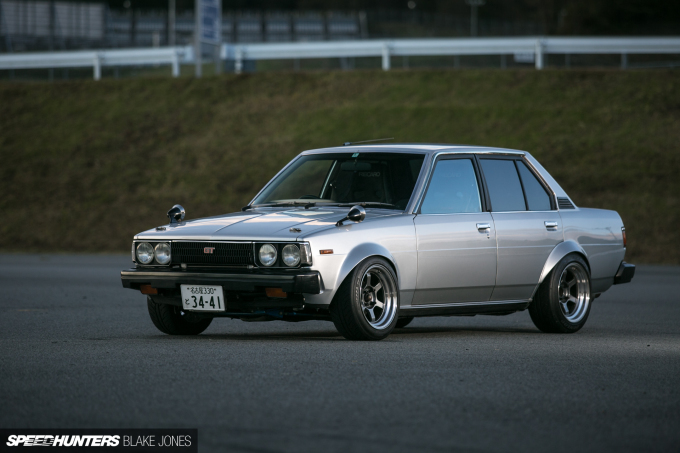 Toyota Crown (S170): Our final snap of the day – another stylish Crown, this time in wagon form. Loved how this turned out Blake!! Your girl seems fairly popular xD. Pretty rad selection of cars here tho. The older nissans and hondas bring back memories from when cars weren't clinically obese lol. Really enjoyed scrolling through these, was disappointed when I reached the end! Appreciated you taking the time to add a comment for each one - that was a nice touch! Off to yahoo auctions to day dream at work... Awesome look Blake!! 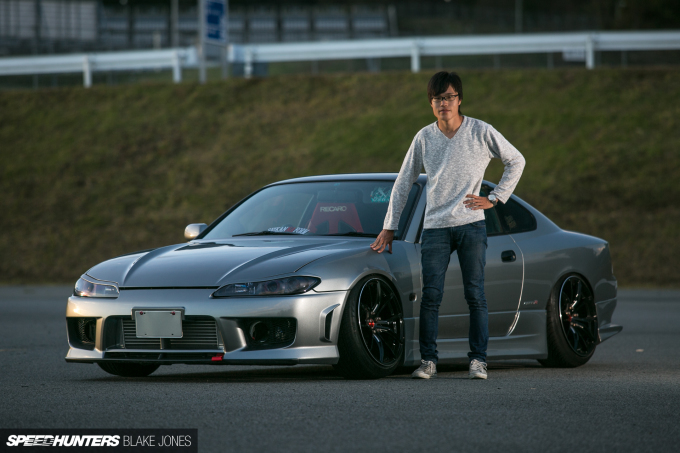 That Z32, is absolutely stunning! 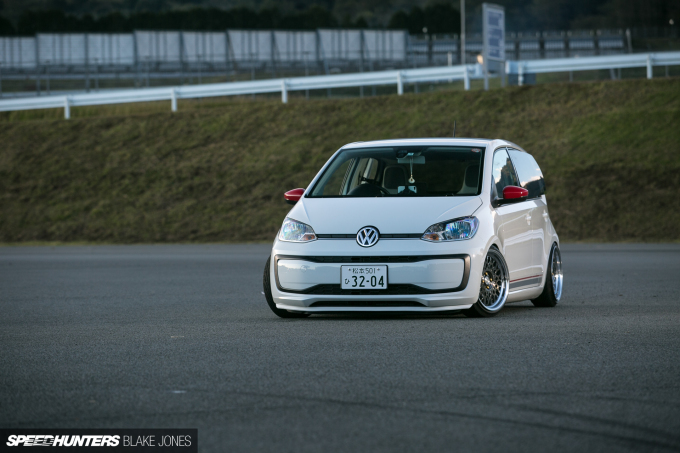 The color, wheels/wheel size and ride height, really give it that "period" look, wouldn't change a thing on it. 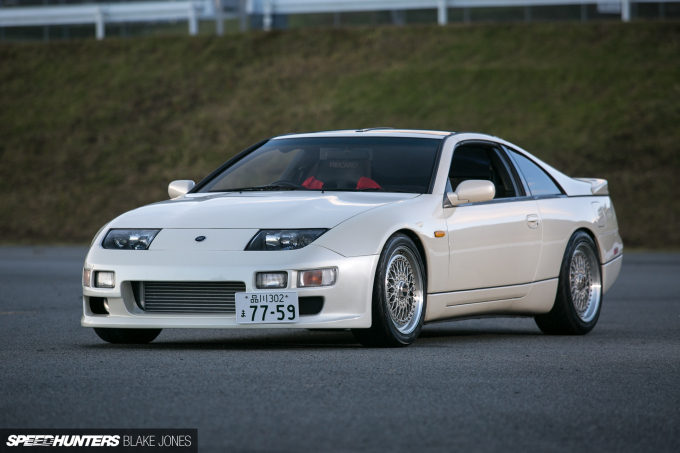 Makes me miss my Z32 dearly! What a great way to involve the attendees by giving them attention of taking their picture with their creations! Respect! Glad you enjoyed it Sasha. Great work! I really enjoyed these pictures and the captions more than I thought I would. Next thing I knew, I reached the end lol. Keep it up, I'd like to see more of this style. You are incredibly hard working Blake, keep it up!!! Love the yellow Mark X as well. NOICE. This is the amount of content needed to satisfy an addict like me these days. 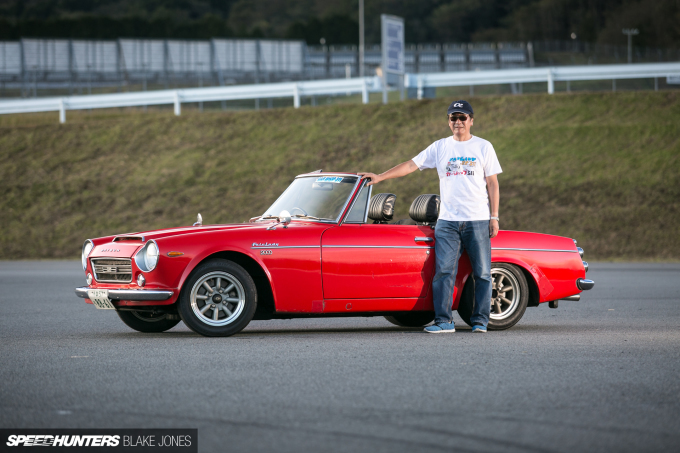 I love the format- and thank you for bringing in the photo's of the owners, it's always interesting to see how they relate to their cars. Also the quick descriptions are nice, zero narrative, just hot-takes! 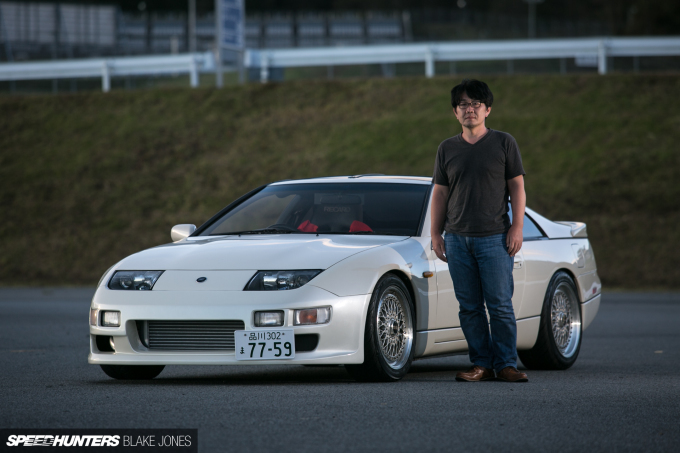 Standouts: That red Celica, the Caldina, the very JDM-white Z32, the white Copen, and that ludicrous Z33. If SH was just a list of these shots of event’s most “interesting/new/different” cars, i’d homepage it. Just scroll through owners and their cars before searching anything. I know it wouldn't be easy, but you guys should use this format more often when covering shows! Nice to see the owners with their cars like this. Would love to do it, but due to the logistics it's almost impossible at a regular carshow. 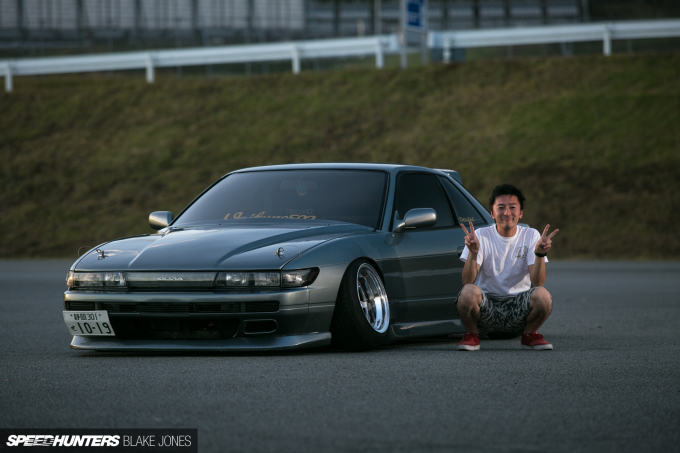 We'll try to do something similar at the future Speedhunters Live events though! I thought that maroon ER34 looked familiar, and I was right: Dino did feature it before! Side note: never knew Z34 wheels look so at home on R33! @Blake epic work bud and yes this actually worked simple clean and included the owners love it!!. On a side note any engine bay pics of the Toyota Corolla GT (E70)? Thank you for posting the photos! 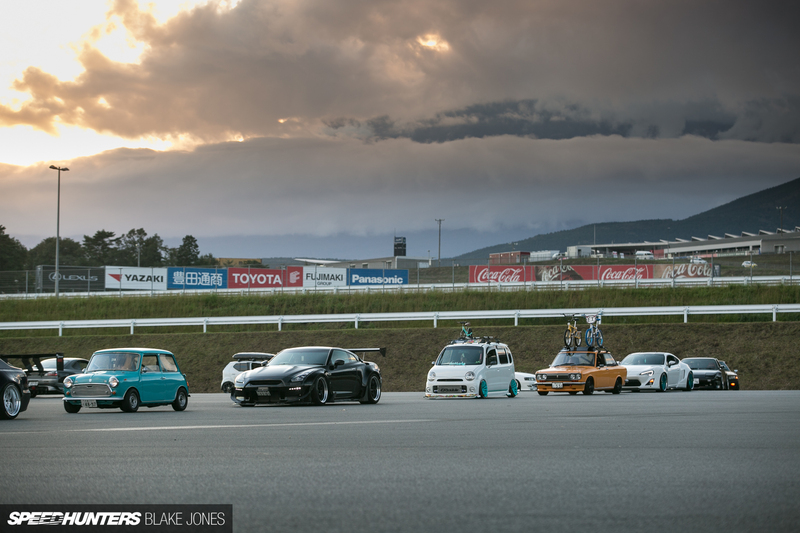 SPEEDHUNTERS LIVE was also very fun. I am looking forward to another opportunity. 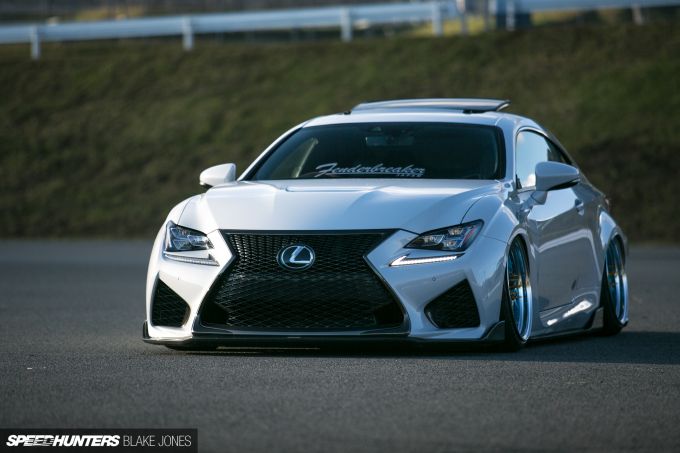 By the way it is not RC 350. It is correctly RC F.
As a photographer I do this myself at shows or track days. Everyone who came out, deserves at least one shot. Obviously some cars appeal more than others, but I do my best to take at least one photograph of each car. Oh man, this is one of the best features I've seen in a long time. i love variety, but I struggle to know everything about everything. 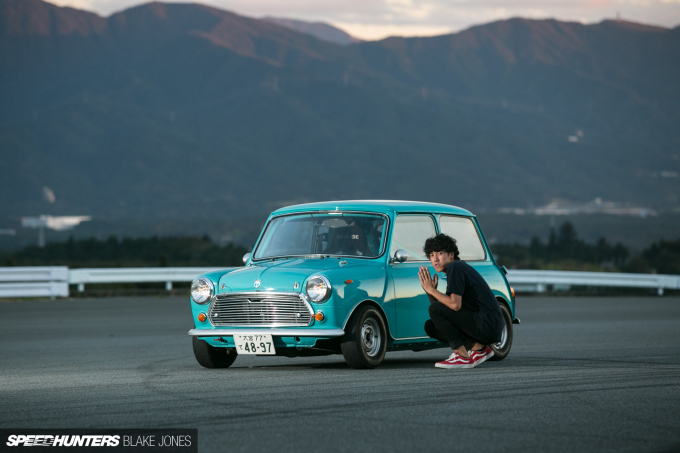 I love how there's a picture of the car, then one with the owner and the info on what the car is. I don't know every subtle difference in cars, so it's great to have it referenced so some of us don't have to research to figure it out. This is awesome. It kinda has an old magazine feel to it. I loved it! Keep it up! Thank you for Nice shots ! I’m Audi TT owner . 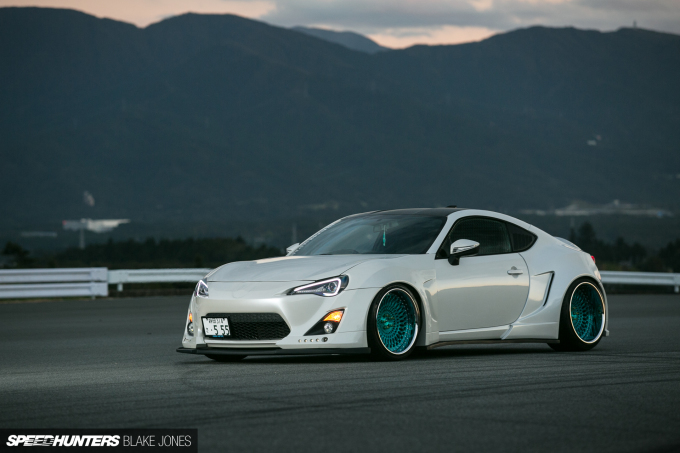 PLEASE DO A SPOTLIGHT ON THE TEAL BLUE 86, that is by far the nicest looking car in all the pictures. This makes us realized that all of these amazing cars came from non other than the very much love and passion of the owner. 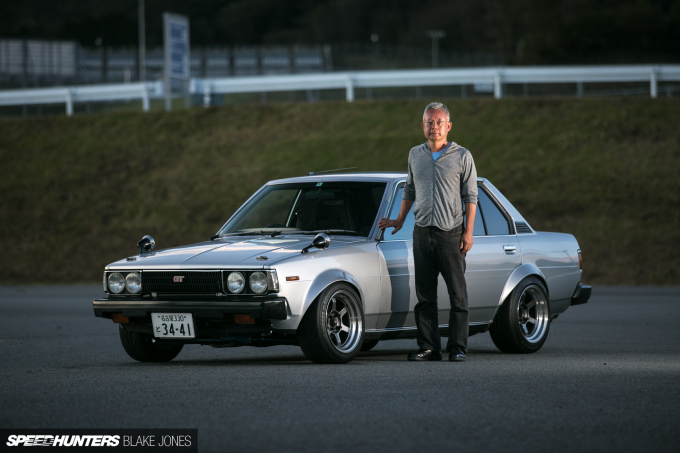 Love to see these cars with the living soul behind them... Great stuff mr. Jones...!! !